Hi everybody. 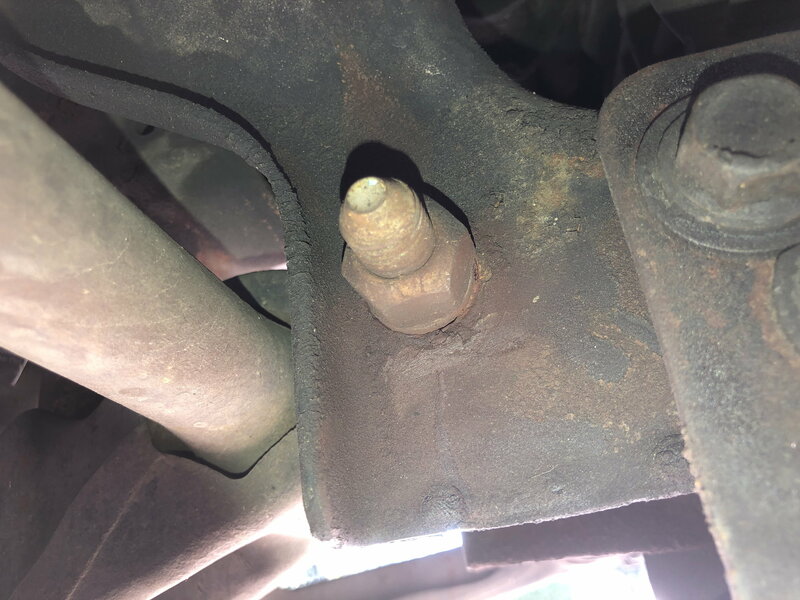 I have had some noises in my front end, and from what I can see the only thing that looks worn are the mounting holes for the lower control arms. 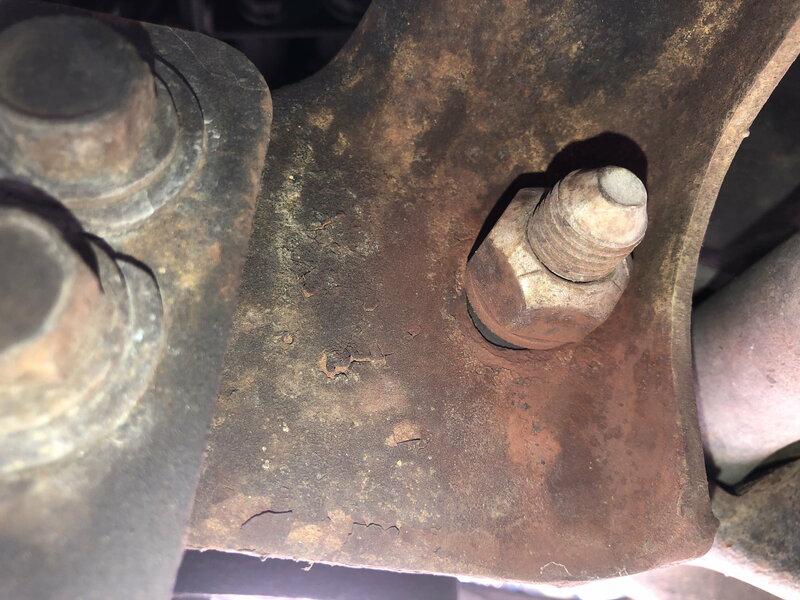 Both of the rear holes show rust and I can see the mounting hole outside of the bolt, so I know that they aren’t mounted solid as they once were. Does anybody know how to go about fixing this? Has anybody had this issue before? I am thinking that I’ll need to weld metal in place and make new holes, I feel that if I just go with putting some thick washers I will still get some play, but if anybody has had the same issue and came up with a fix please let me know. Thanks. Post up some pictures of the issue so we can take a look. I've never messed with my lower control arms, I am assuming you are talking about the front and not the rear trailing arms? Here are pics of both sides. The passenger side looks worse. They are the front lower control arms. Thanks for any suggestions.